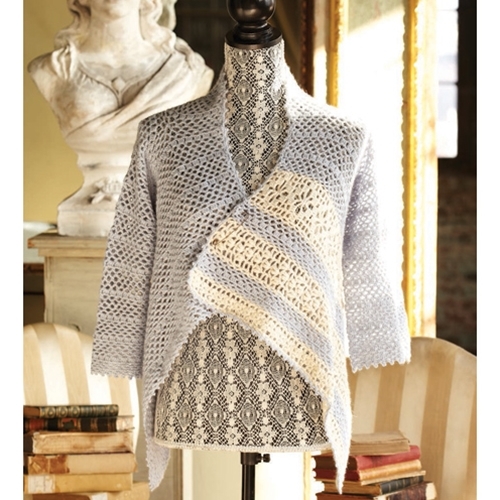 Wrap front cardigan with contrasting lace insets. Sized for X-Small, Small, Medium, Large, 1X, 2X, 3X and shown in size X-small. 27 sts (on starting ch) and 14 rows = 4"/10cm over pat st A using larger hook.